Registration opens August 11 @ 5PM. Body Style – What is the body style of your automobile? Speed Range – Will your automobile go over 190 mph or stay below 190 mph? Engine Induction – Is your automobile naturally aspirated, turbo charged or supercharged? Engine – How many cylinders does your automobile have? Cubic Inch / Liter Equiv. Range – What is the engine displacement? Fuel – What type of fuel does your automobile run on? Nitrous – Does your automobile have nitrous? Methanol Injected – Is your automobile methanol injected? Drive Line – What is the driveline of your automobile? By classifying your automobile as street legal or not street legal and answering the questions above, you will be able to compare yourself to your peers running similar setups or configurations. This will allow for you to challenge yourself in more than one way. Read the following classification definitions to make sure you qualify for the class you chose. Factory Stock: Classification retains all a factory produced drive-train, electronics, chassis, exhaust, induction and layout. Modifications are allowed to meet the set safety requirements outlined in the technical rules and regulations. Cosmetic changes to the paint, ancillaries, and changes of tire make are allowed. Tires must retain a DOT rating. Performance enhancing modifications are not allowed to the drive-train, electronics, chassis, exhaust, induction and layout. Factory Stock class will not allow any modification deemed speed enhancing by the Tech Inspection Official. Modified: Classification allows the modification to the drive-train, chassis, exhaust, induction. Preparation is allowed e.g. the covering or removal of signal lenses, extensive safety wire, aftermarket plastics, etc. Drastic layout and chassis modification purposed for land speed racing will not be allowed in the Modified class. The Tech Inspection Official retains the right to reclassify any Modified entrant not deemed street worthy. “Street worthy” generally specifies that the motorcycle is able to reasonably and safely; make over the road travel for an extended period of time starting and stopping and abide to local state safety inspection requirements. The motorcycle must be capable to perform the above without the aid of support vehicles or staff. Unlimited: Classification allows an infinite amount of modifications to the bike specifically for the purpose of drag, road or land speed racing. Any participant may classify themselves as Unlimited. Chassis alteration, layout or engine modification is not required. Any entrant has the right to move up in classification if he or she wishes. Moving up delineates that your bike runs a lesser engine displacement and/or classifies lower than the class the rider wishes to be moved up into. Entrants may not classify themselves into a lesser class unless specifically allowed by the Tech Inspection Official. Body Style – What is the body style of your motorcycle? Manufacture Origin – Where was your motorcycle made? Engine Induction – Is your motorcycle naturally aspirated, turbo charged, or supercharged? Engine – How many cylinders does your motorcycle have? Cubic Centimeters – What is the engine displacement? Fuel – What type of fuel does your motorcycle run on? Nitrous – Does your motorcycle have nitrous? Methanol Injected – Is your motorcycle methanol injected? Inches over stock length – has the frame of your motorcycle been extended? By classifying your motorcycle and answering the questions above you will be able to compare yourself to your peers running similar setups or configurations. Now you can compare your bike with other bikes on many different levels, from a broad range to a very narrow range. This will allow for you to challenge yourself in more than one way. In order to be classified in the NEW American Iron Class you MUST choose the USA as the manufacture origin of your bike and you MUST choose Sport Bike or Classic as the body style of your motorcycle. The new American Iron class will allow for our participants to achieve new records on their style of bike. Now you can ride something other than a hayabusa and be the fastest in your class! We are bringing a whole new meaning to the phrase “come out and set a record in Texas”. You will now be able to prove to your friends that your Harley v-twin is faster than an Asian v-twin or vice versa. 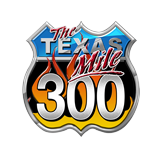 The Texas Mile honors classes for Land Speed Racing. For more information refer to www.landracing.com. Each LSR participant will need to populate their own class according to the SCTA rules. Click here for details on body styles. Sport bike or Superbike is a motorcycle optimized for speed, acceleration, braking, and cornering on paved roads, typically at the expense of comfort in comparison to less specialized motorcycles. The riding position has the rider leaning over the fuel tank with their feet behind them. Examples are Suzuki Hayabusa, Kawasaki Ninja, and Honda CBR. Classic /Cruiser /Touring Motorcycles: These bikes are large and heavy motorcycles designed for comfort on long rides and not for speeds equal to sport bike. The riding position on these bikes are usually but not always places the feet forward and the hands up, with the spine erect or leaning back slightly. Examples are BMW R1200C, HD Softail Heritage, Suzuki Boulevard. Chopper / Bobber: Whether you have a modified frame or not, this is the class for your custom motorcycle. This class is for all the bikes that are not mass produced. It’s the place for truly one of a kind custom bikes. Examples are bikes such as those built by West Coast Choppers, Orange County Choppers, or Falcon Motorcycles. Other: This is for all the bikes that don’t fit nicely into one of the above classes. If you have something rare or unique or just not listed above then this is where you go. Classification is ultimately up the discretion of the Tech Inspection Official. The Tech Inspection Official in accordance with the Race Director retain the right to reclassify any entrant at any time during the course of the event.